CIA = the good guys that we know and the organization that is presented to the public, of good people sincerely trying their best to stop terrorists. The CIA and other parts of the International Military Industrial Complex (IMIC) are most important, and funded most, when America is in "danger" and at constant war. 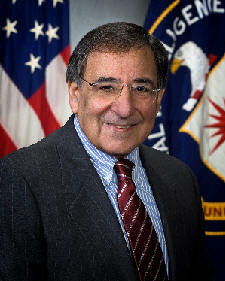 al-CIA-Duh = not literally a division of CIA, but perhaps a mixture along with Mossad, ISI and GIP (Arabia's Intelligence) that hires guys to go around the world pretending to be terrorists, leaving trails, and sometimes planting bombs to put on a good show, scare the public, and recruit other guys who truly have a hatred for America. It is a mixture of sincere and phony terrorists, to appear realistic. So some innocent people have to die, for realism. The purpose of al-CIA-Duh is to create work for the CIA and the IMIC. They are expensive, disintegrate, go obsolete, and need constant upgrades and replacements. Lt. Anthony Shaffer, Coleen Rowley and others were "too good" at their jobs. They were only supposed to detect the "actor terrorists" of al-CIA-Duh guys, to build the Official Story, but not to actually apprehend them. They got too close. They had to be pulled back by Robert Mueller, George Tenet, and others who were "in the know". The International Military Industrial Complex (IMIC) needed them to be free to carry out the 9/11 False Flag Op. 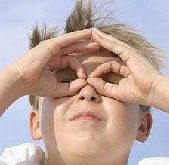 The public sees all the world's intelligence agencies a separate and competing. But like the Unified Field, there is a lot of covert collusion going on behind the scenes, at a deep, fundamental level. All the Intelligence Agencies have a vested interest in playing spy games, to keep their own Government and citizens funding them. 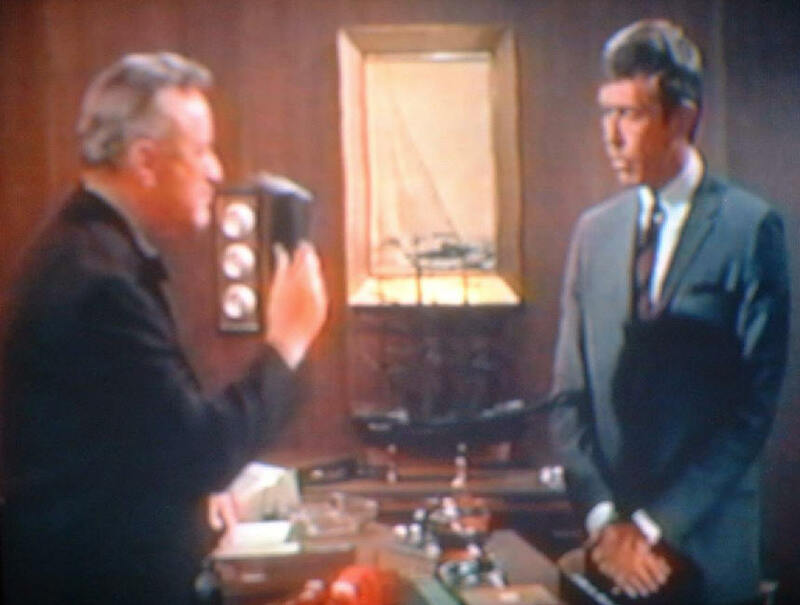 As kids, we played Man from UNCLE in our neighborhood. We bought and created cool gadgets and secret codes. My brothers and I were FORCE - the Federal Organization for Reconnaissance and Counter Espionage. Some other boys down the street were UNI - United Network of Intelligence. 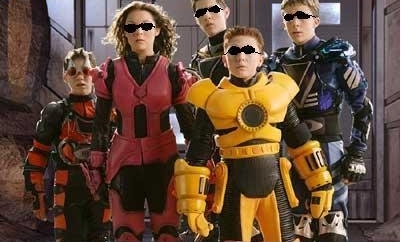 On the next block were the Eagle Eye guys. We were friends, but we had to pretend to be enemies, for the sake of the game. It was fun, and cool. But we grew out of it. Some guys in the worldwide Intelligence Community have not grown out of it. Their spy toys are bigger, more expensive, and deadlier - at tax payer expense. 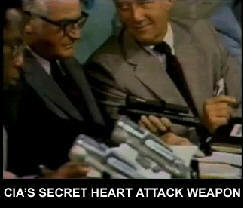 Under the guise of "protecting America" they can develop such things guns for darts that cause "natural" heart attacks. Any sport is like this. Friends divide into teams, and compete against each other, to keep the game going. 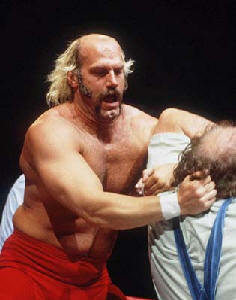 We also had wrestling matches, like the WWE. The more the teams snarl at each other, the more the public pays. If they stop competing, the funding and money immediately stop. 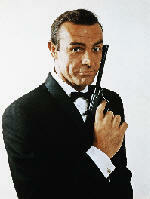 If there is no need, or perceived needs for the Spy Sports, the public will not fund it. Because the results are Top Secret, the public has no way to judge if the spy organization is necessary or not. Of course, the public is assured that it is a top requirement for national security. Of course, real terrorists are more convincing than fake terrorists. Fake terrorists are only needed to "get the ball rolling" then Predator Drone strikes on civilians, and bullying occupied countries creates enough real ones, who want revenge for killing their brothers, and putting military bases on their holy lands. 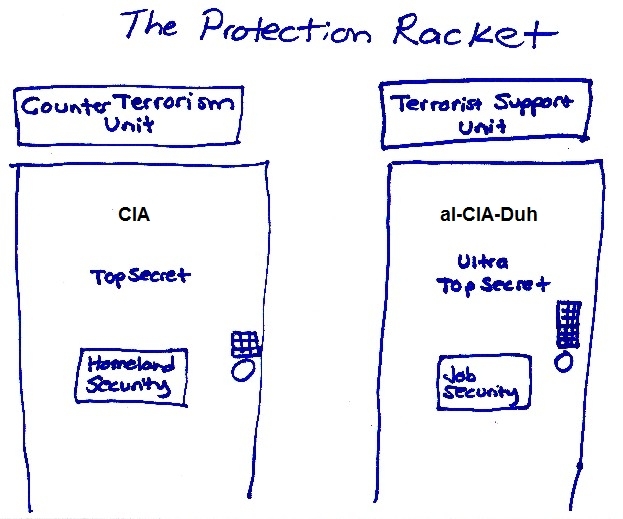 Al-CIA-Duh (the collective network of international intelligence agencies) keeps a calculated balance of terrorist - just enough to justify their existence. Too many, and they stomp them out with the CIA, FBI, Military, etc. Too little, when the public starts demanding less funding for the IMIC, then they activate some phony al-CIA-Duh terrorists. Like driving a car, sometimes the IMIC steps on the gas. Too fast, and the apply the brakes. But the car keeps going, and their funding keeps going. He never got elected to public office. 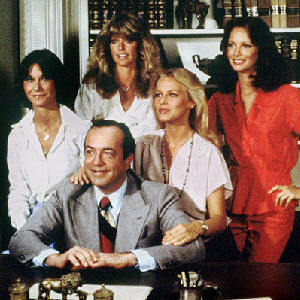 He was never an investigator per se, not even a private eye. He never was an FBI Agent himself, yet is their Director. 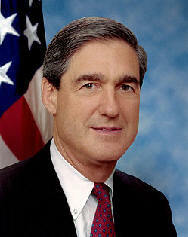 Bush appointed him as FBI Director, over 1000's of career FBI Agents. Why the "Great Leap Frog" over more qualified candidates? in return for a quick rise to being appointed with a Great Leap to the top FBI position. He stopped FBI agents from investigating the so called "hijackers"
so they can justify their jobs. Muhammed Atta and others, were duped. Then he was no longer needed, and it was time for him to do his last mission. He organized a multiple plane hijacking, to demand the US out of Arabia, for hostags. But he was suffocated when the CAPOV opened up by Remote Control. with more speed, accuracy, and determination than any human could. 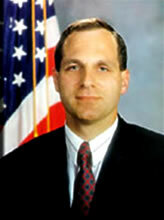 Louis Freeh - Director of the FBI, 1993 - 2001. Former U.S. District Court Judge for the Southern District of New York, appointed by President George H.W. Bush. Former Deputy United States Attorney in New York. 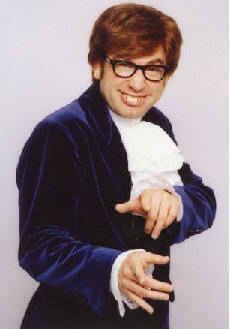 Former FBI agent. Essay An Incomplete Investigation - Why did the 9/11 Commission ignore "Able Danger"? 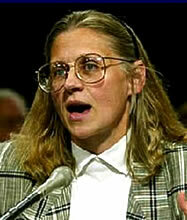 Wall Street Journal11/17/05: "
Coleen Rowley – Former Special Agent and Minneapolis Division Counsel, FBI. 24-year FBI career. Agent Rowley was selected one ofTime Magazine's three 2002 Persons of the Year for revealing FBI headquarters' efforts to "throw up roadblocks and undermine" FBI field investigations of Al Qaeda operatives in the four weeks prior to 9/11. Harry Samit – Special Agent, FBI, assigned to the FBI Field Office in Minneapolis, Minnesota. Former U.S. Navy pilot and Naval Intelligence Officer. 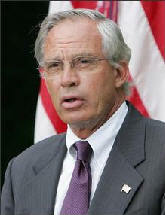 Robert G. Wright, Jr. – Special Agent, International Terrorism Unit, FBI. The only FBI agent to seize terrorist funds (over $1.4 million) from U.S.-based Middle Eastern terrorists using federal civil forfeiture statutes, prior to 9/11. 17-year FBI veteran. John B. Vincent – Retired Special Agent, Counterterrorism, FBI. 27-year FBI career. 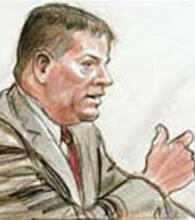 Fred Whitehurst, JD, PhD – Retired Supervisory Special Agent / Laboratory Forensic Examiner, FBI. 16-year FBI career. Former U.S. Army Intelligence Officer. 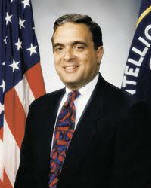 Edward J. Costello, Jr. – Former Special Agent, Counterterrorism, FBI. Former Judge pro tem., Los Angeles, CA. 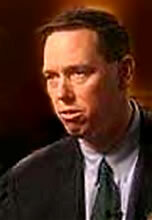 John M. Cole – Former Intelligence Operations Specialist, in the FBI’s Counterintelligence Division. In charge of FBI’s foreign intelligence investigations covering India, Pakistan and Afghanistan. 18-year FBI career. They are all on www.PatriotsQuestion911.com if you would read it for yourself. You'll see plenty of Governors, Congressmen and Senators on there as well. Don't believe just the web site (although these people could get themselves off long ago if they had any objection). Check them out.